→What Does Permanent Hair Reduction Actually Mean? What Does Permanent Hair Reduction Actually Mean? Certain lasers have been approved by the FDA for "permanent hair reduction", but what does that actually mean in the context of hair regrowth? 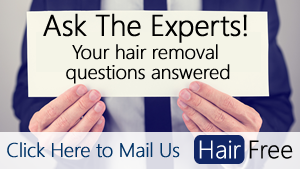 What Does Permanent Hair Reduction Mean? "Permanent hair reduction is defined as the long-term, stable reduction in the number of hairs re-growing after a treatment regime, which may include several sessions. The number of hairs regrowing must be stable over time greater than the duration of the complete growth cycle of hair follicles, which varies from four to twelve months according to body location. Permanent hair reduction does not necessarily imply the elimination of all hairs in the treatment area." So interestingly, for some body parts, the FDA will approve a laser hair removal device for permanent hair reduction as long as the hair count is less after only four months. For the manufacturers to receive this clearance, the hairs must be measured every three months for one year after the final treatment. Some people who would appear to be obvious candidates for laser hair removal (those who have thick, coarse dark high and light skin) don't respond at all to laser hair removal treatments. We still don't know why these "ideal" consumers don't respond. Because of this strange anomaly, there's no guarantee that you will get any positive results from laser hair removal, and any company that tells you differently is lying to you as you may be one of the unlucky few that simply don't respond. A device can still be marketed as approved for permanent hair reduction even if the number of hairs in a given treatment area come back to the full density after a certain period of time. The tests are all relative to the treatment area and its associated typical hair growth cycle. The growth cycle of a hair can be anything from 4 months to 12 months. For example, the active transformation cycle of body hair for the Upper lip and armpit hair has an average growth cycle of 4 - 5 months, while leg hair can be 11-12 months. If a device proves to reduce the number of hairs in the armpit area for 4 months, yet consumers experience full regrowth after 6 months, then it still passes the FDA standards for permanent hair reduction. This is because there was a reduction in hair count four months after the final treatment, and a typical growth cycle in the armpit area is four months. In some rare instances, patients may actually experience an increase in hair growth after exposure to the certain types of light radiation. The phenomenon is called hypertrichosis and currently we don't fully understand the mechanisms of how it is induced. It's worth noting that the incidence rate of hypertrichosis is very small and predominantly affects women of Mediterranean or Indian descent with type 3 or higher skin tone after laser treatment sessions where the skin has not been cooled. If a laser has been approved by the FDA for permanent hair reduction, then the odds are in your favour of getting a positive outcome in line with FDA definitions. It means that hair counts have shown a reduction at 3, 6, 9 and 12 months after the​ last treatment with the laser being tested in the majority of people. It doesn't mean that these are the results that will be achieved by all ​consumers, and in most clinical studies a small number of the test subjects didn't respond to the treatment at all.